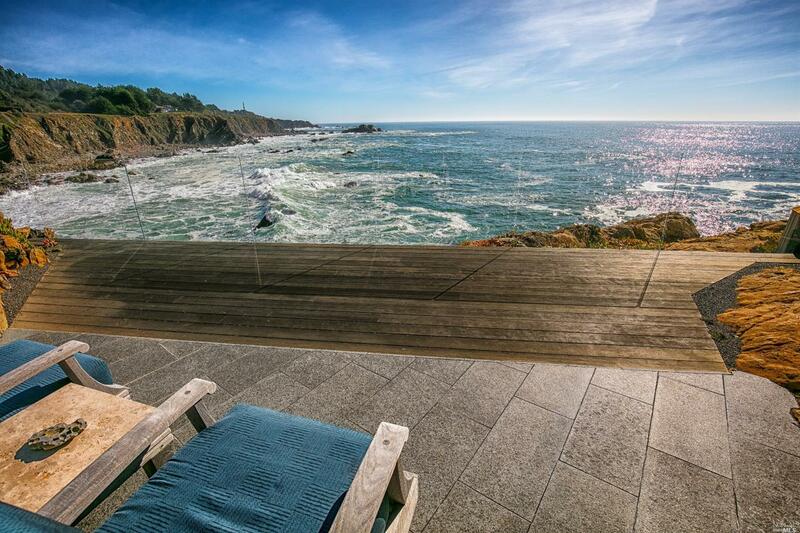 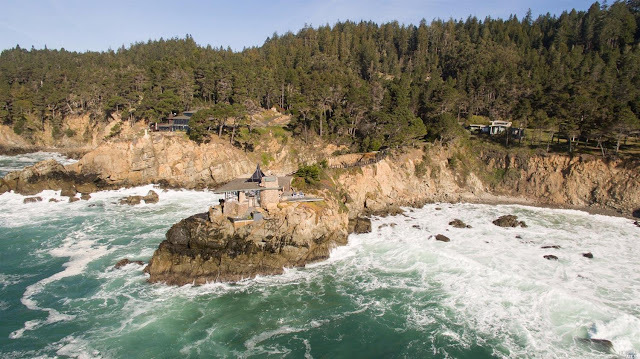 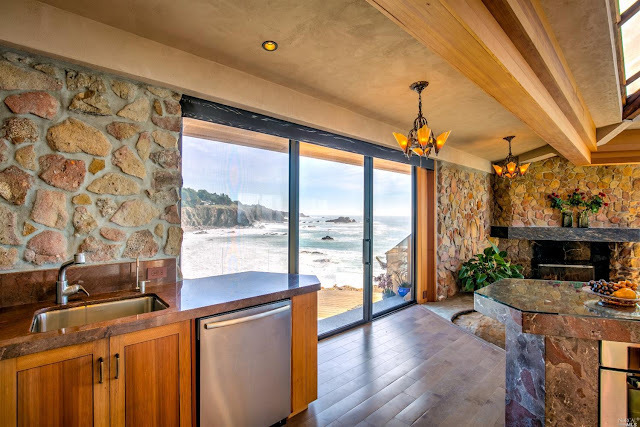 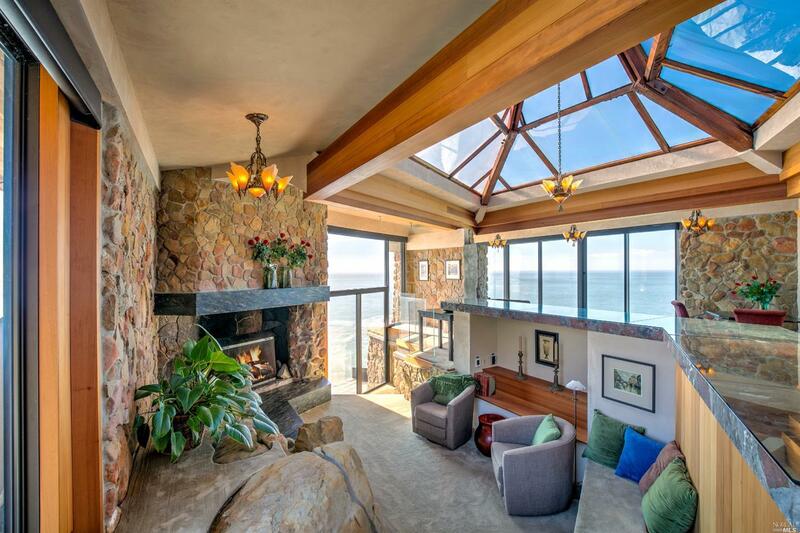 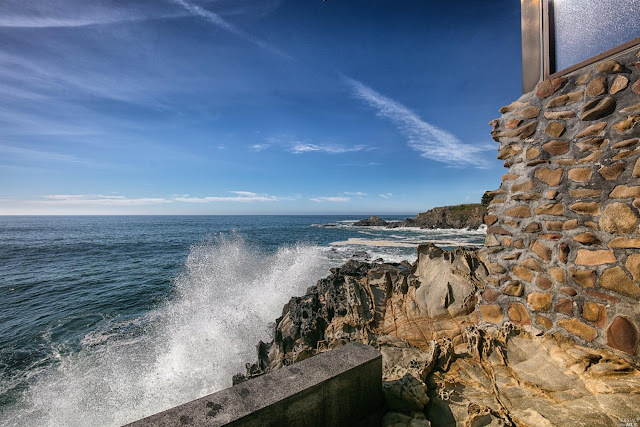 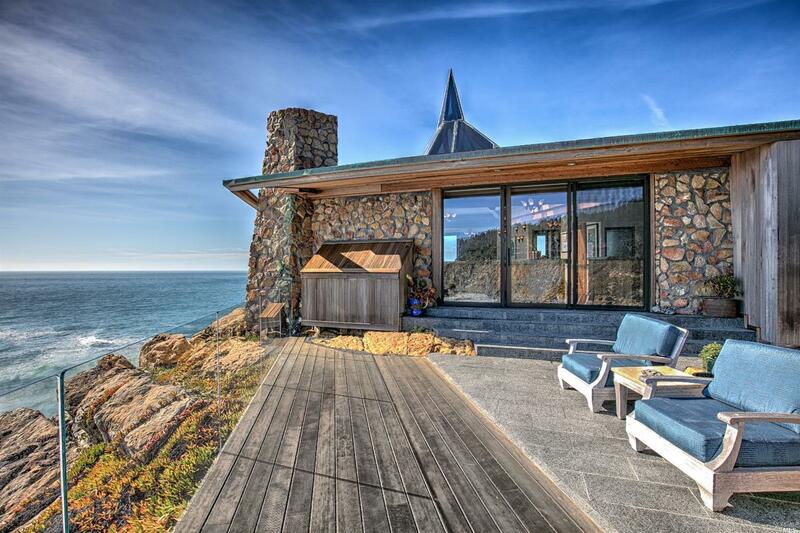 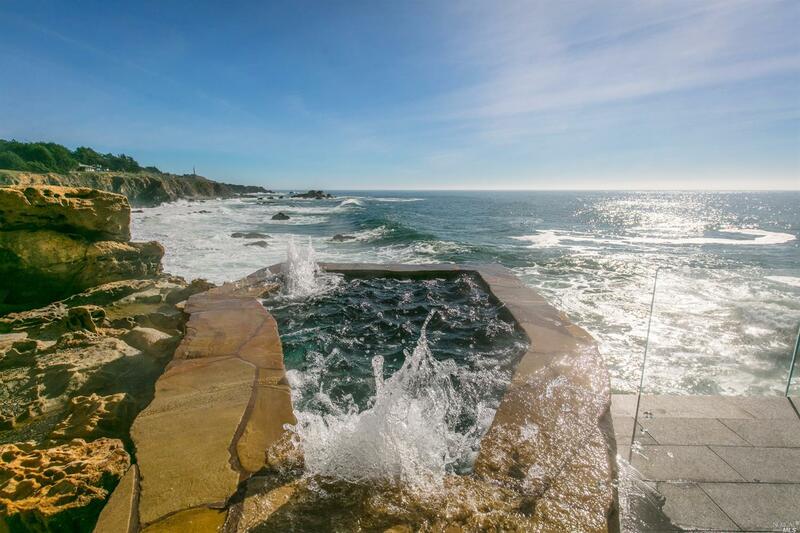 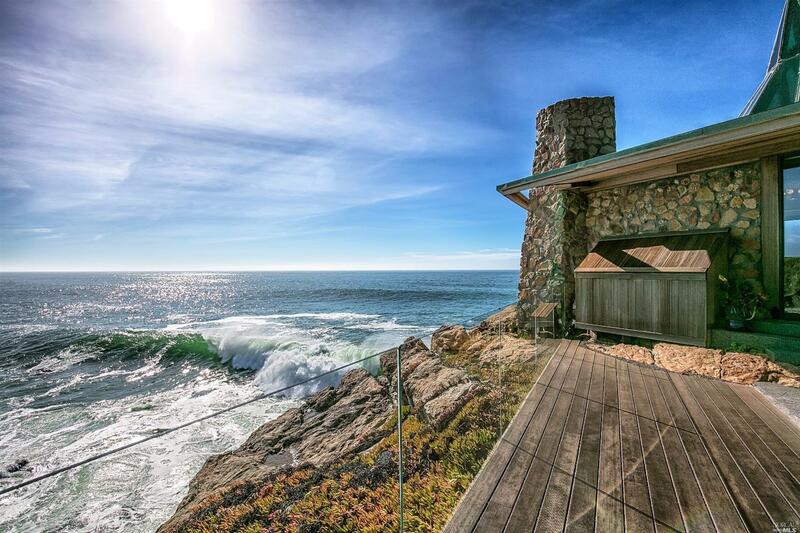 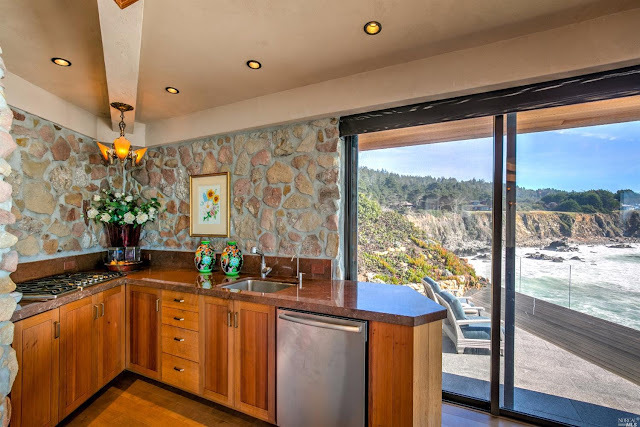 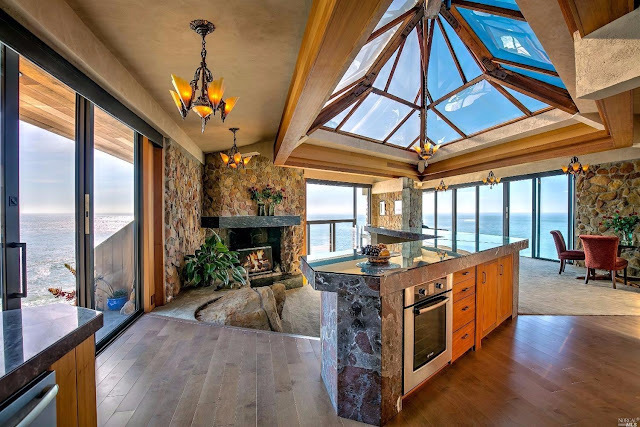 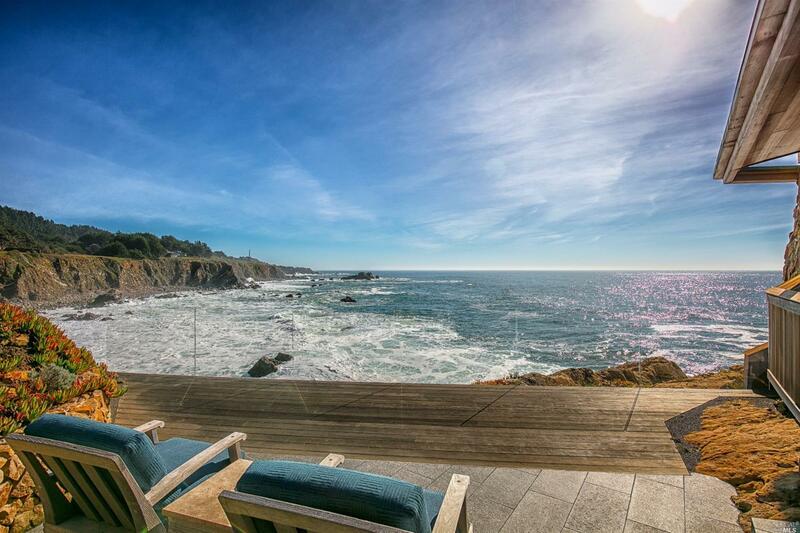 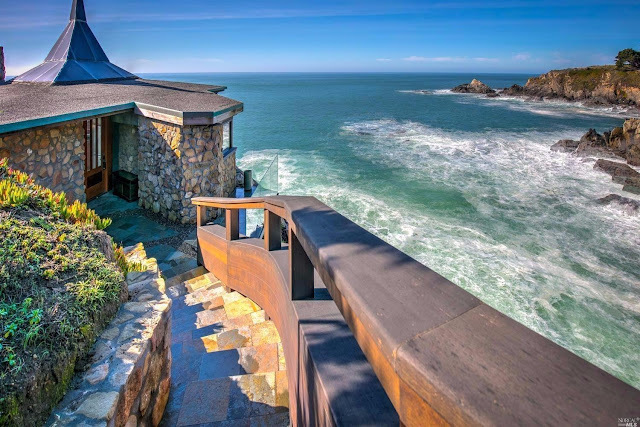 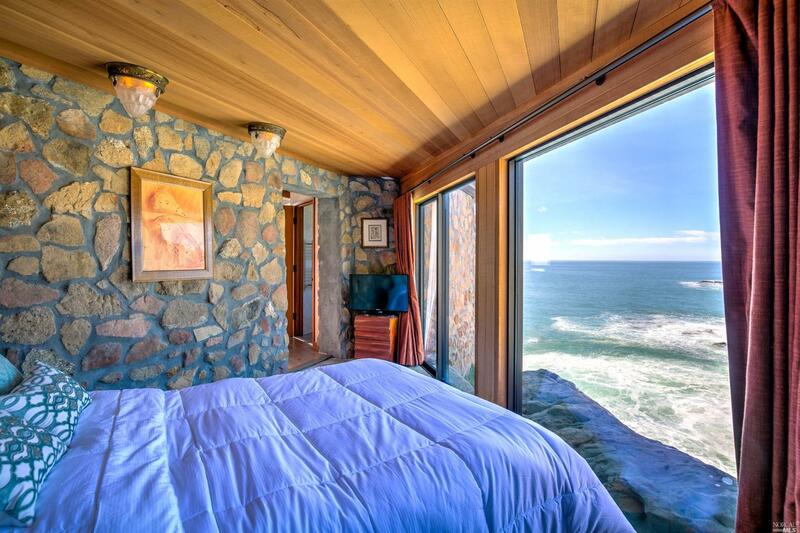 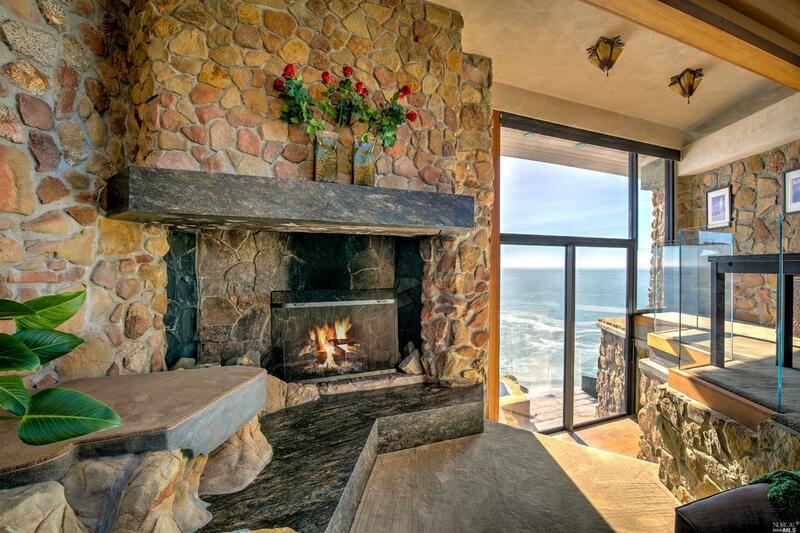 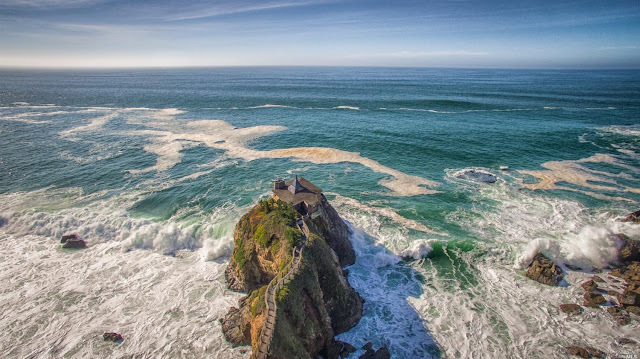 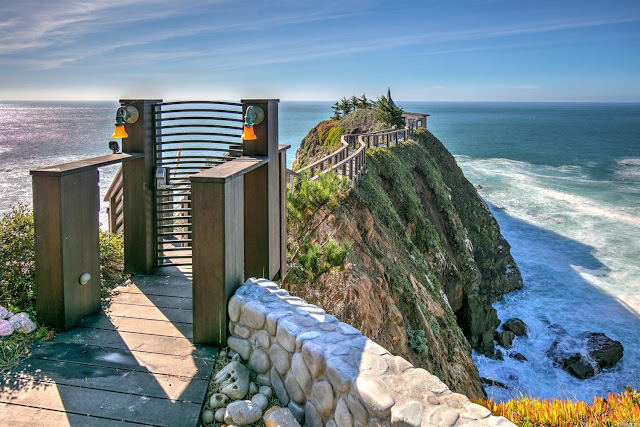 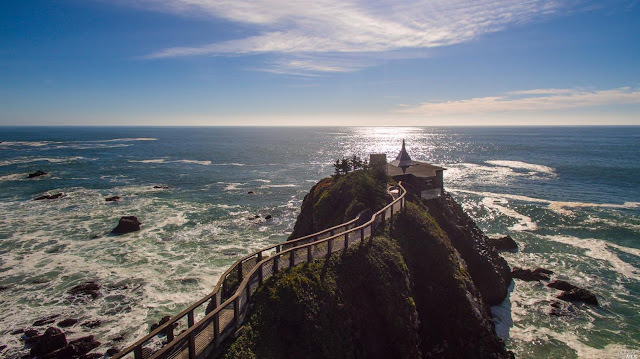 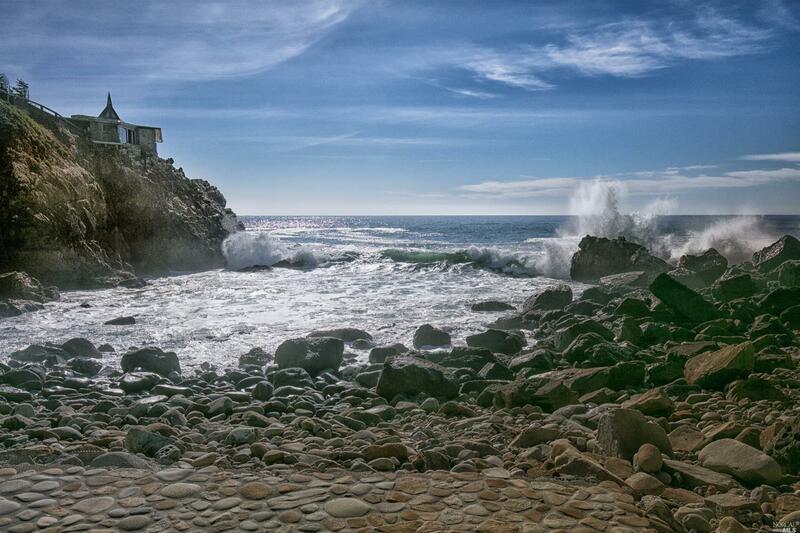 A rocky cliff in Pacific Ocean in the territory of a small town of Jenner in California, became a place of construction of this beautiful home. 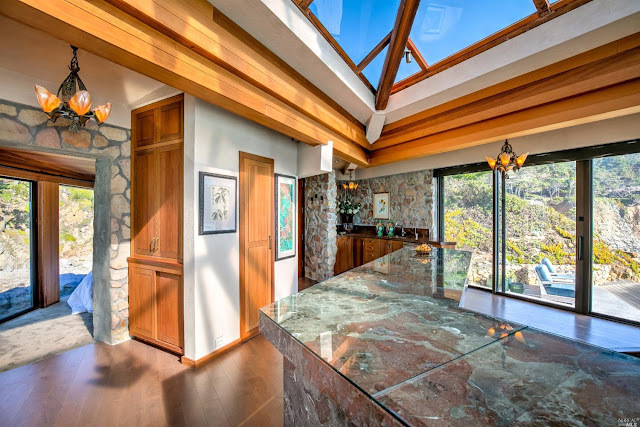 The house, designed for one family, has one bedroom and one bathroom. 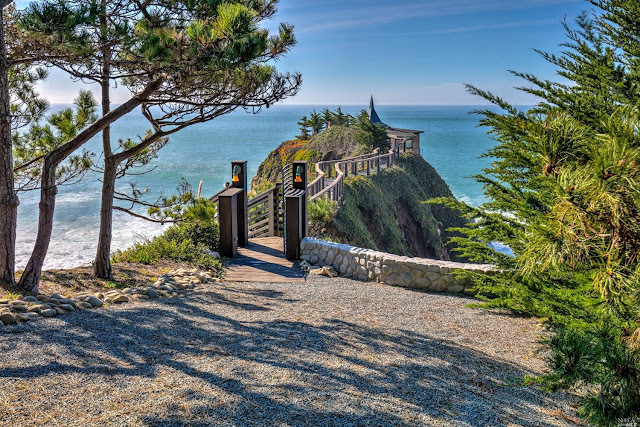 From the road to the rock on which the house is built, there is a long wooden walkway. 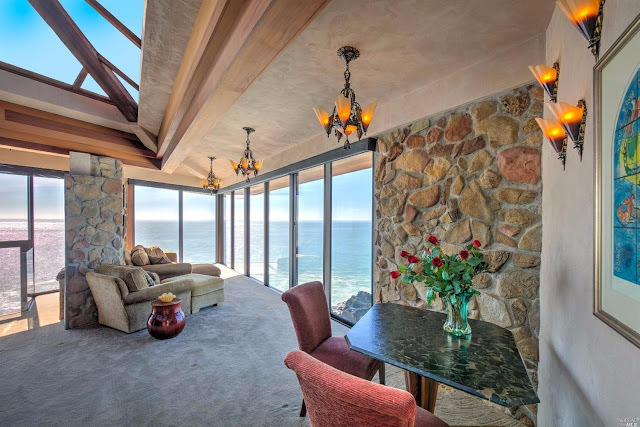 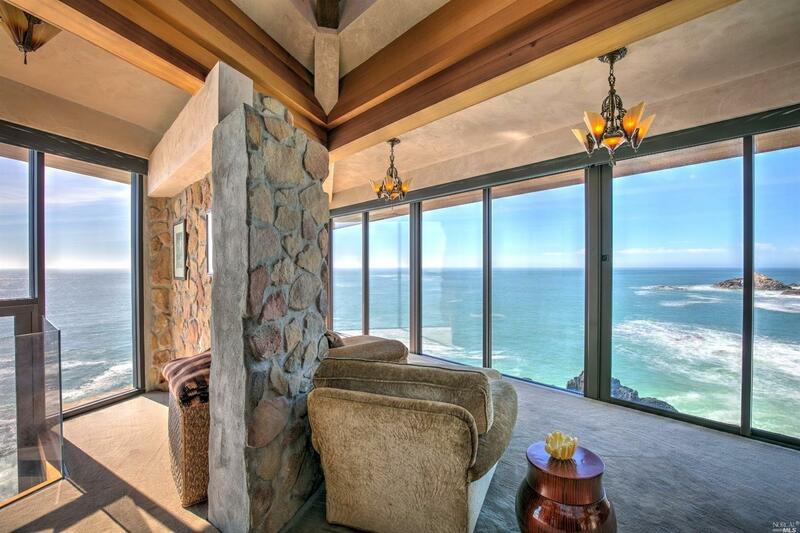 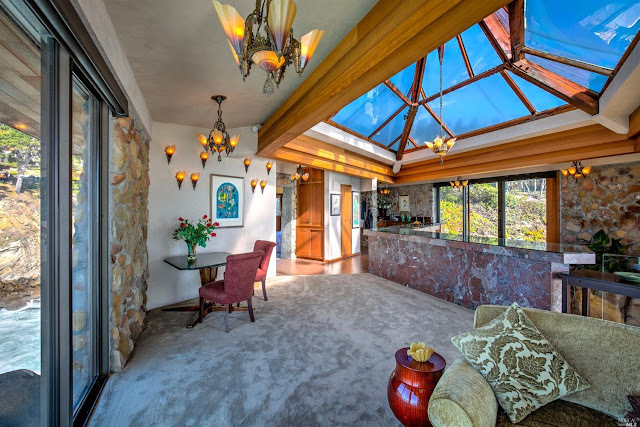 Floor-to-ceiling windows in natural stone interior, allow you to enjoy a beautiful ocean scenery. Living room with fireplace, a spacious kitchen with skylight and a bedroom with an ocean view create a cozy and intimate atmosphere. 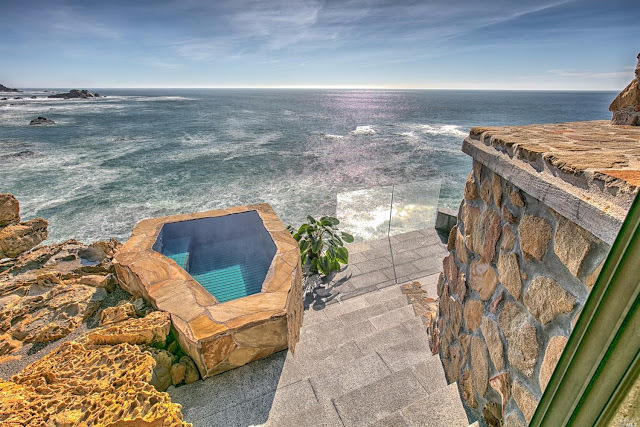 Outside there are two terraces with a large outdoor bathtub.